Palms Hang-Outs : Welcome To WholesaleVacuums.com , Your #1 Source for California Scents Direct. 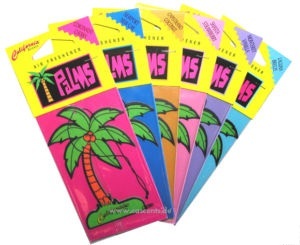 Palms Hang-Outs free hanging automotive air fresheners are ready to travel. Just hang one on your car’s rear view mirror and enjoy the fresh air for miles.